Comments: Comments Off on Thanks to all the Cavs fans. Thanks to all the Cavs fans. NOTE: Today on NNR Samantha Bunten of NBC Sports and I discussed the Browns Minicamp and Game 6 of the NBA Finals. I wanted to say thanks to all the Cavs fans all over the country. Those that attended the game can be proud of the support you gave the team. You were wonderful in both volume and energy. Those that cheered outside the Q can be proud of the way that they treated Golden State fans and handled the injuries and loss of the title. There were few if any arrests, no burning cars, or ransacked businesses. You all showed the rest of the country how to act even in a loss. Comments: Comments Off on The Cavs were 1 missed free throw away from the Title. The Cavs were 1 missed free throw away from the Title. NOTE: Congratulations to LeBron James and the Cavs for a great effort in the finals. No one would have guessed that they would be competitive without 3 of their best 5 players. Tomorrow on NNR Samantha Bunten of NBC Sports and I discuss Game 6 of the finals and the future of the Cavs. Despite the injures to Kyrie Irving (21.7 points per game), Kevin Love (16.4) and Anderson Varejao (9.6) the Cavs came within 1 point of winning the title. Game 1 came down to a last second possession by the Cavs to win the game in regulation. But if they had made 1 more missed free throw, they would have had a 1 point lead and could have just held the ball to win. Another possibility would have been if the refs had not decided to call traveling for the 1st time all game on Timofey Mozgov in the previous possession. While Irving was hurt in OT, the Cavs would have won the title with that game 1 win with or without their starting point guard. The Cavs went on to win Game 2 in Oakland and Game 3 in Cleveland. Since the format of the finals was changed to 2-2-1-1-1 no team has ever come back from 0-3 to win a title. In my opinion the Cavs would have won game 4 because the Warriors had no starter with finals experience. I think that if the Cavs had gone up 3-0 the Warriors would have folded without much of a fight. Even if the Warriors had won game 4, the Cavs would have ended their misery in game 5 or 6. Given the injuries, the Cavs had a great season and playoffs. All Cavs fans can be proud of the team. The fans should also be proud of the energy and noise they caused all season long. Comments: Comments Off on The team that wins game 4 will win the title. The team that wins game 4 will win the title. 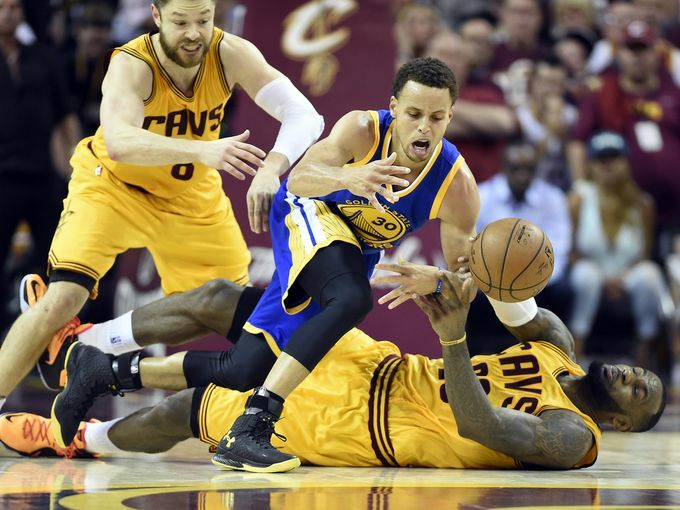 NOTE: On NNR Samantha Bunten of NBC Sports and I review game 2 of the NBA Finals. Statistics back up my position that whichever team wins game 4 will win the title. If the Cavs win and go up 3 games to 1, they have a great chance to win the title. In the past since the format of the NBA playoffs went to the 2-2-1-1-1 format 84% of the teams that went up 3 games to 1 won the title. If the Warriors win game 4 they take back home court advantage. Statistically the vast majority of teams that have a 7th game at home win that game and the title. A major question about the game is which Stephen Curry will we see? If it is they 4th quarter SC that led the Warriors to a 36 point quarter, the Cavs are in trouble. If it is the SC that played in the first 3 quarters, the Cavs have a good chance. Part of that will depend on Curry’s ability to shoot more accurately and the rest will depend on Matthew Dellavedova’s ability to keep pressure on Curry. Dellavedova has been outstanding on defense and contributed 20 points in game 3. Dellavedova was taken off Curry in the 4th quarter. If he is allowed to stay on Curry in game 4, there is a good chance that Curry will struggle again. The other key part of the Cavs’ wins in games 2 and 3 was the lack of scoring by the front court of Draymond Green and Harrison Barnes. Barnes was 0 for 8 and Green was 2 for 10. If Curry can not pull a LeBron James and carry the team on his back in game 4, the Warriors will need Barnes and Green to shoot better. 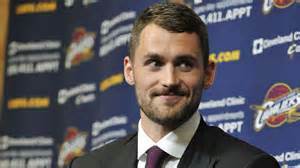 The other big question about the series is can James and the Cavs continue to play as many minutes and as good a defense as they have in the last two games? James has played 142 of the 154 minutes in the series. While I suspect he will be fine, I worry about Dellavedova and the other Cavs. They need to continue to put the heat on the Warrior shooters. If not, the Cavs will be in trouble. The Warriors have lots of depth. The Cavs do not. That depth was a major reason that coming into the series the Warriors were the favorite. Now the Cavs have the upper hand. To keep it they need to win tonight.